Mountain and lake weather can change rapidly, be prepared. Boil water for at least 5 minutes before drinking. Located 40 km north of Creston on Highway 3A, this park and adjacent Lockhart Creek Provincial Park extend from the sunny shores of Kootenay Lake to the headwaters of Lockhart Creek. This small park provides the only easy access to public camping along the south arm of Kootenay Lake. An 18 site campground and day-use area are located near a sand and fine gravel beach where visitors can relax and enjoy the clear waters of Kootenay Lake. Gate is closed during the off-season; no vehicle access. 40 km north of Creston on Highway 3A or 19 km south of Crawford Bay on Highway 3A. Located on the east side of Kootenay Lake with Crawford Bay and Creston being the closest communities. Conservation: Lockhart Beach is situated near the outflow of Lockhart Creek into Kootenay Lake. The beach is backed by a lakeside forest that protects temperate rainforest habitat. Birdwatchers and plant identification enthusiasts will be rewarded by a visit to this diverse area. Rainbow trout, bull trout and kokanee inhabit Lockhart Creek. 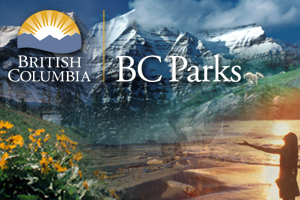 Approved Purpose Statement and Zoning Plan [PDF] for Lockhart Beach Provincial Park is available online in pdf format. There area fishing opportunities in Kootenay Lake especially for Gerrard rainbow trout. Anyone fishing or angling in British Columbia must have an appropriate licence. The adjacent Lockhart Creek Provincial Park has a well maintained hiking trail that follows the north side of Lockhart Creek gaining about 800 metres of elevation over a 3- hour hike. An old cabin site about two hours up is a favourite destination. Though open to wilderness recreation, the park has no facilities or marked trails and is not regularly serviced. Visitors should be self-sufficient and proficient in back country travel practices. For your own safety and the preservation of the park, obey posted signs and keep to designated trails. Shortcutting trails destroys plant life and soil structure. There are swimming opportunities in Kootenay Lake at this park. There are no lifeguards on duty at provincial parks. Firewood can be purchased from the Park Operator in some parks or you can bring your own wood. Fees for firewood are set locally and may vary. To preserve vegetation and ground cover, please do not gather firewood from the area around your campsite or elsewhere in the park. Dead wood is an important habitat element for many plants and animals and it adds organic matter to the soil. You can conserve firewood and air quality by keeping your campfire small. Limited burning hours or campfire bans may be implemented and some parks may use communal fire rings. Be prepared to bring a portable stove for cooking. Hand pump wells provide water. To ensure water is safe for drinking, all water must be boiled for at least 5 minutes. This park has a day-use/picnic area and sandy beach along Kootenay Lake. There is capacity for 12 vehicles in the day-use area. The 18 site campground offers vehicle access on a first-come, first-served basis – campsite reservations are not accepted. There is one drive-through site and three double sites. There is no phone at Lockhart Beach, however nearby towns and resorts offer telephone and tourist services.